IDE, based in Cincinnati, OH, is a turn key site-development engineering firm. We provide clients with a single point of contact to ensure effective, accurate communication and coordination of services. IDE�S personnel possess the necessary education and experience to solve complex site development issues with timely, cost-effective and technically sound solutions. We are proud to offer the following services, pleae click on a topic to learn more. IDE is available to assist with planning, site development design, infrastructure design, construction documents, permits and compliance, bidding assistance and construction administration. Click here to learn more about our Civil Engineering Services. IDE can provide boundary and topographic surveying, dedication plats and descriptions, and construction staking, using state-of-the-art technology. Click here to learn more about our Land Surveying Services. The professionals at IDE are available to assist you with subsurface investigations, analysis and design. Click here to learn more about our Geotechnical Engineering Services. 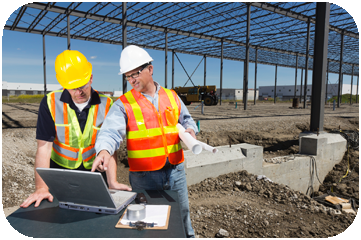 IDE can provide field inspection and labratory testing to reconfirm that your construction project meets specifications and design criteria. Click here to learn more about our Construction Materials Testing (CMT) Services. The staff at IDE can provide environmental assessments, hazardous materials insepection and oversight, Brownfield redevelopment, design and compliance services, remediation design and environmental risk assessments. Click here to learn more about our Environmental Engineering Services.